The fastest way to build a brand that lasts. 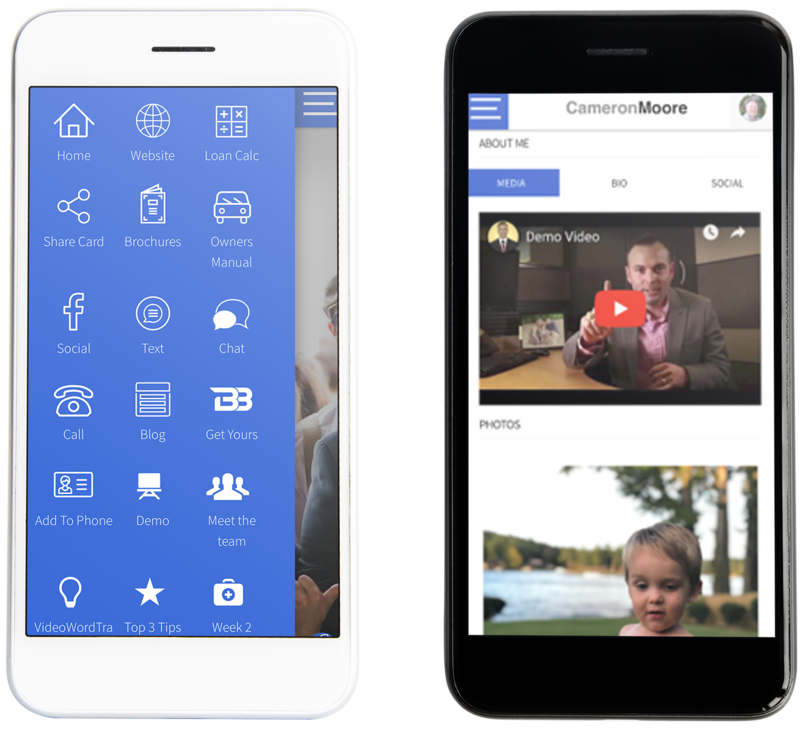 Upload images & videos throughout the pages of your website. Host your website on the Custom Domain of your choice. Share more information about yourself on your “About Me” page. Choose from thousands of articles and videos from our Content Library to publish on your personal website. Post industry specific blogs to engage and educate your customers every day! You also have the capability of creating and posting your own content so that you can make an even more personal connection with your customers. 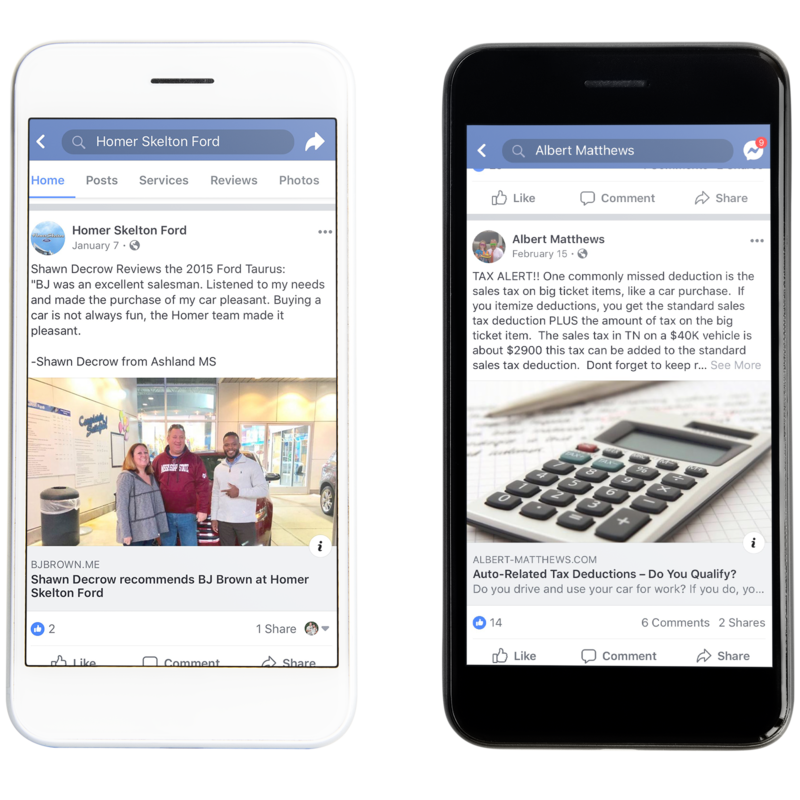 Share these articles to your social media platforms and drive traffic back to your website. Display current inventory and all associated images. 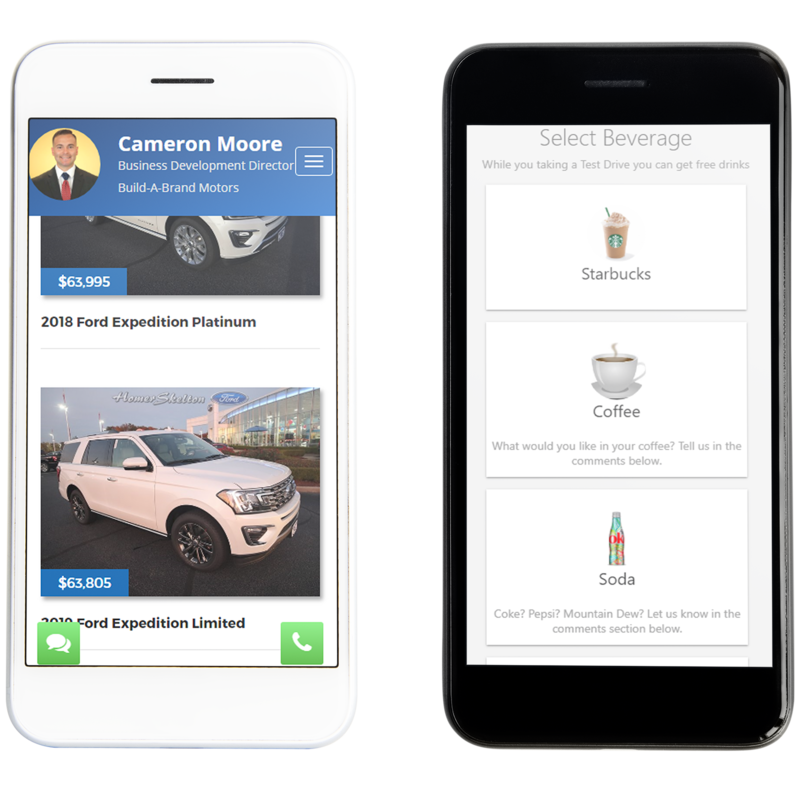 Customers can schedule a VIP Test Drive by choosing a beverage and route. Download manufacturing Brochures and Owner’s Manuals for most makes and models from the last 8 years. 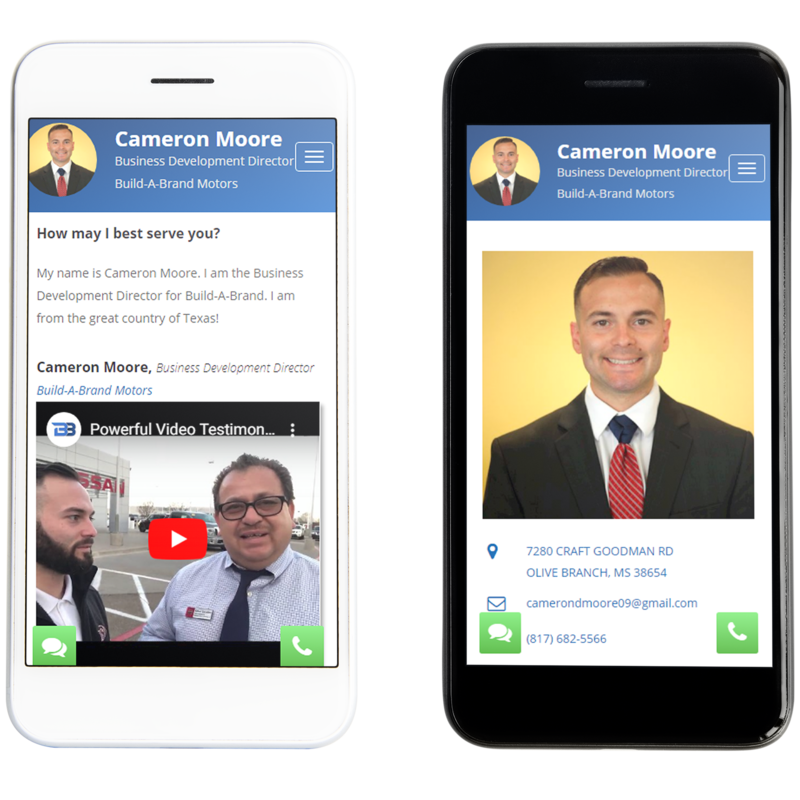 Post customer photo and video testimonials to help create value within your brand. 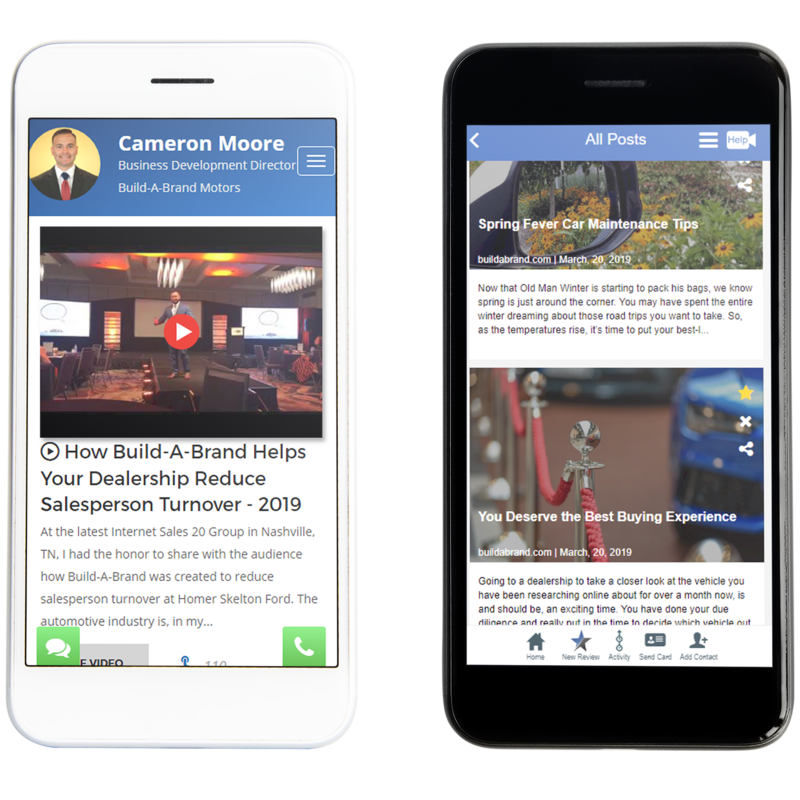 Create a unique customer review page with multiple photos or video and up to three customizable review questions so that you, your customers and your company/dealership can share to social media and build your brand. Allow your customers a quick & easy way to post their review under your company/dealer Google review site. 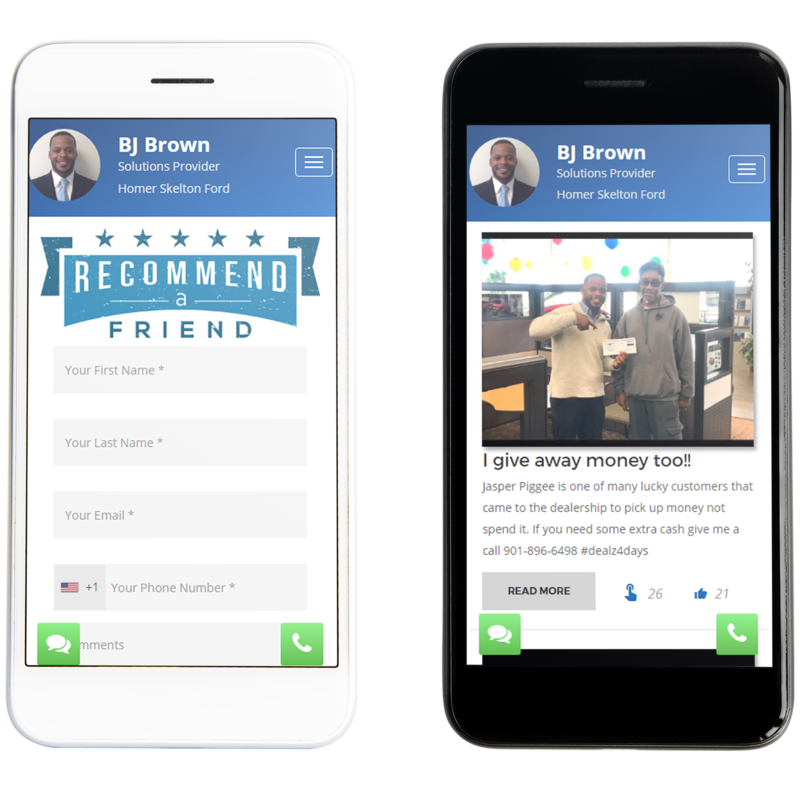 Built-In referral marketing software makes it easy for customers to send your information. Manage referrals easily throughout the entire selling process. Reward local friends, family and strangers for exchanging leads and referrals through our reciprocal marketing system. Website that make you stand out. 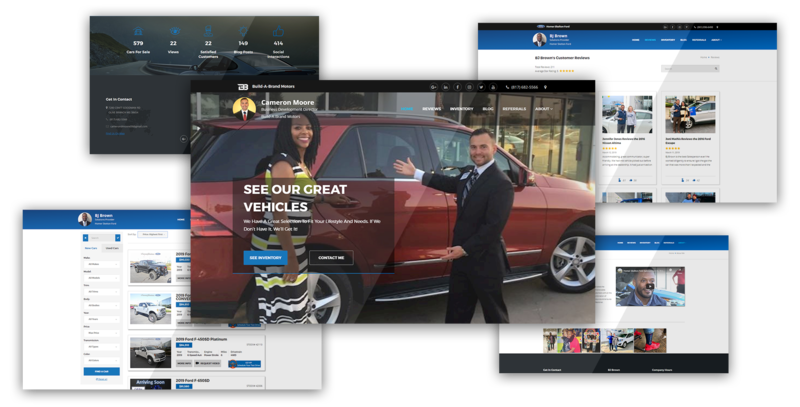 We’ve worked with some of the most influential business people in the automotive industry to design a website that brings your brand to life online. Our websites are powered by a comprehensive set of tools that allow you to reach more of the people that matter and grow you audience.